Anyway, I had a blast with the two-day bazaar, and I really appreciate all those who came to support and buy! Thank you so muchh... You're amazing! As to the outfit, I am so into a chiffon skater skirts lately. I love the fact that you can mix different tops, tights and shoes with them and almost never get it wrong and also this is my latest collection inspired by Mayo of mellowmayo.com! It's all about the right colour scheme and the way it suits you. So, Enjoy the photos and hey... what do you think of these skirts? 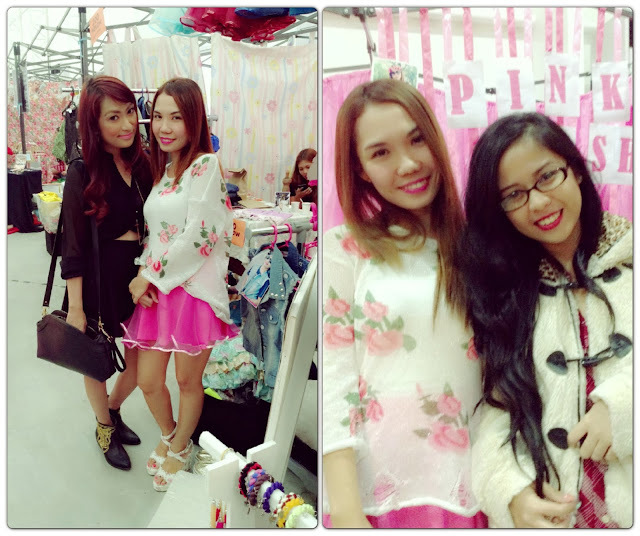 Preparing for our Pink Fashion booth! 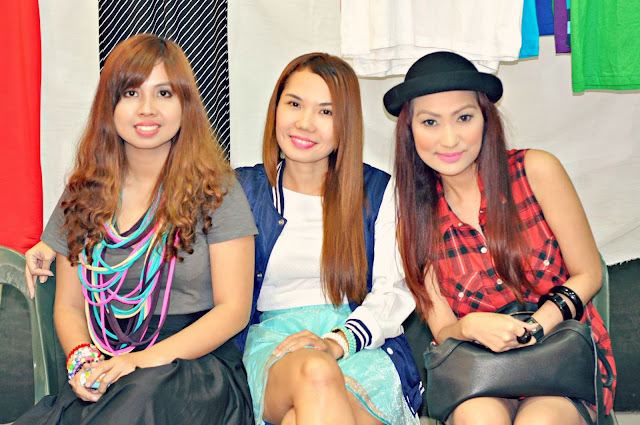 The #HolidayBazaar2013 celebrities Ara Mina, Say Alonzo, Duncan Ramos & Paul Salas. 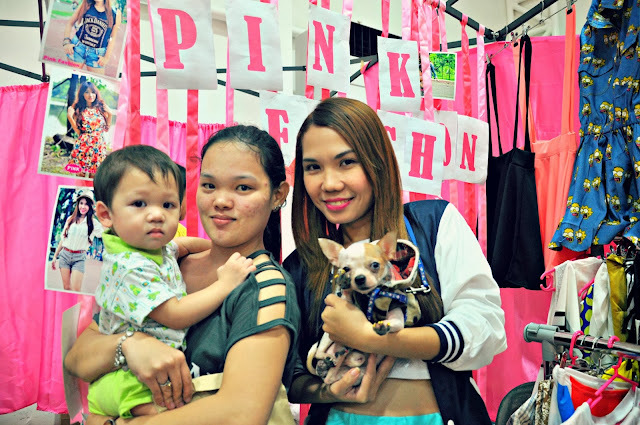 My cousin angel and her friend Leomar who help me during bazaar! 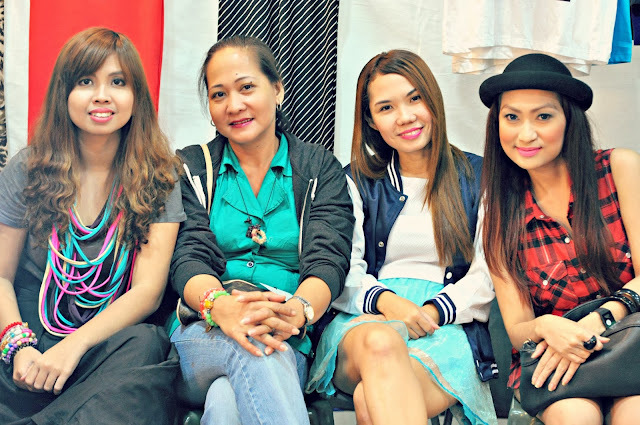 With Denise, ate Marj and Jaqui :) I love this picture! The last day of bazaar is not complete with group pictures. Fashion Bloggers RULES! 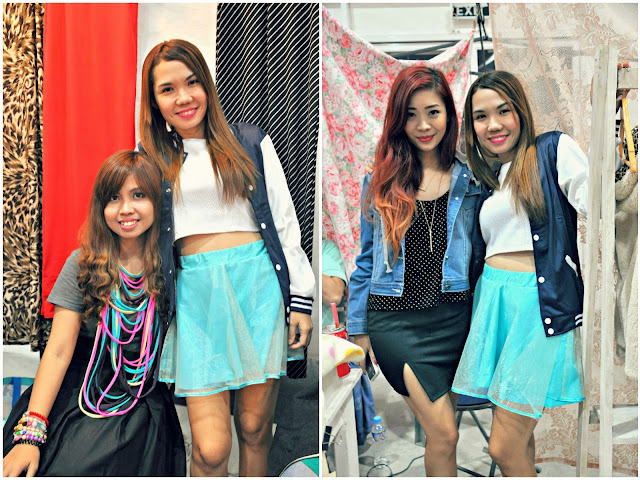 Okay, here's what I wore on the last Day of Holiday Bazaar. I'll show you more about my outfit on my next post! How cool its your set up and so nice people come to buy the pup its cute also you look stunning the images are great. I love the flowered top. Great post. Looks lie a great event!